"Good evening. Well, brother has been killing brother since Cain and Abel, yet even I didn't see that coming. I was as blindsided as poor old Henry down there. And apparently, the authorities shared my naïveté. In other words, they believed the young man's story. That Henry fell, hit his head on a stone and died of smoke asphyxiation. On the other hand, if they hadn't believed him, Ed Gein would never have had the opportunity to commit those heinous crimes for which he became most famous. And we, of course, well… we wouldn't have our little movie, would we?" Which is what Hitchcock is all about. This biographical drama film directed by Sacha Gervasi and based on Stephen Rebello's non-fiction book Alfred Hitchcock and the Making of Psycho. Hitchcock centers on the loving relationship between influential director Alfred Hitchcock and his wife and collaborator Alma Reville during the making of Psycho (1960). Psycho was based on the 1959 novel of the same name by Robert Bloch, which in turn is based loosely on the case of convicted Wisconsin murderer Ed Gein. Hitchcock acquired rights to the novel for $9,500. Paramount executives did not want to produce the film and refused to provide the budget that Hitchcock received from them for previous films with the studio. Hitchcock countered with the offer to finance the film personally and to film it at Universal-International if Paramount would distribute. James P. Cavanagh, who had written some of the Alfred Hitchcock Presents television shows, wrote the original screenplay. Hitchcock rejected it. Despite Stefano's newness to the industry, Hitchcock hired him. The film, independently produced by Hitchcock, was shot at Revue Studios, the same location as his television show. Psycho was shot on a tight budget of $806,947.55, beginning on November 11, 1959 and ending on February 1, 1960. Hitchcock insisted that Bernard Herrmann write the score for Psycho, in spite of the composer's refusal to accept a reduced fee for the film's lower budget. Psycho initially received mixed reviews, but outstanding box office returns prompted a re-review which was overwhelmingly positive and led to four Academy Award nominations. Psycho is now considered one of Hitchcock's best films and is highly praised as a work of cinematic art by international critics. It is often ranked among the greatest films of all time and is famous for bringing in a new level of acceptable violence and sexuality in films. In 1992, the film was selected to be preserved by the Library of Congress at the National Film Registry. The performances in the film were all incredible and brilliantly portrayed and to conclude it mostly lives and breathes because of Hopkins and Mirren. Hopkins and Mirren take charge of the central roles of the great Alfred Hitchcock and Alma Reville with authority that makes you wonder how anybody else could ever have been considered for those roles. Aggressively likable and thrilling to a fault, Hitchcock pays tribute to the Hitchcock legacy with excellent performances and dark comical charm. "The FAA and the NTSB took 10 pilots, placed them in simulators, recreated the events that led to this plane falling out of the sky. Do you know how many of them were able to safely land the planes? Not one. Every pilot crashed the aircraft, killed everybody on board. You were the only one who could do it!" Which is what is happening in Flight. This drama film directed and co-produced by Robert Zemeckis. 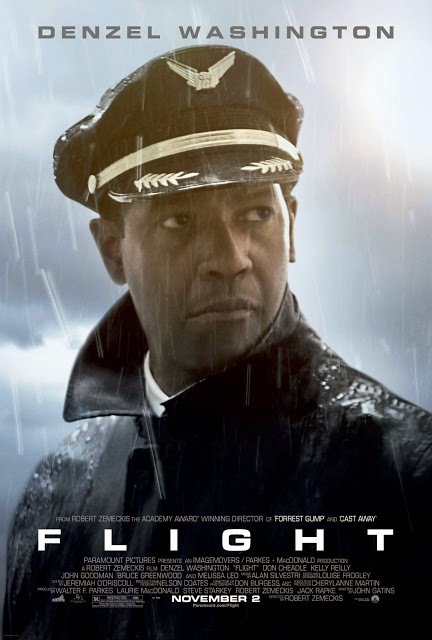 The film's plot revolves around an airline pilot, Captain William 'Whip' Whitaker, who saves a plane from crashing and 96 out of the 102 people on board. But an investigation into the malfunctions reveals something troubling. Robert Zemeckis entered negotiations to direct in April 2011, and by early June had accepted, with Denzel Washington about to finalize his own deal. It marked the first time Zemeckis and Washington worked together on a motion picture. By mid-September 2011, Kelly Reilly was in negotiations to play the female lead, with Don Cheadle, Bruce Greenwood, and John Goodman joining later in the month, and Melissa Leo and James Badge Dale in final negotiations. Screenwriter John Gatins said in early October 2011 that production would begin mid-month. Flight was largely filmed on location near Atlanta, Georgia, over 45 days in November 2011. The film's relatively small budget of $31 million, which Zemeckis later calculated was his smallest budget in inflation-adjusted dollars since 1980, was due to tax rebates from Georgia and from Zemeckis and Washington having waived their customary fees. Gatins explained in a 2012 interview with the Los Angeles Times that the dramatic fictional crash depicted in Flight was "loosely inspired" by the 2000 crash of Alaska Airlines Flight 261, which was caused by a broken jackscrew. That crash had no survivors. The airplane in Flight, a two-engine T-tail jet airliner, appears to be from the same model family as Alaska Airlines 261, a variant of the MD-80. Many elements are lifted from the accident into the film, such as the cause of the accident, segments of the radio communication and the decision to invert the airplane. The film stars Denzel Washington, with Don Cheadle, John Goodman, Bruce Greenwood, Kelly Reilly, and Melissa Leo. The performances in this film were all spectacular, Washington had portrayed one of his meatiest, most complex roles since American Gangster (2007), and he flies with it. Cheadle, along with Greenwood, gave solid and confident roles as Whitaker's confidants and moral compasses. Goodman gave an incredibly humorous performance as Whitaker's drug-crazed and 'hippie' friend. Reilly gave an incredibly warm and solid performance as Whitaker's tortured drug addicted love interest. Finally Leo, even though a small role, gave a strong and intimidating performance during the film's trial scene. Flight is an engrossing story, told smoothly and well. It is one of the most intelligent dramas in years. The film absolutely works due to its emphasis on the human elements of the story, with an incredibly complex performance by Washington. 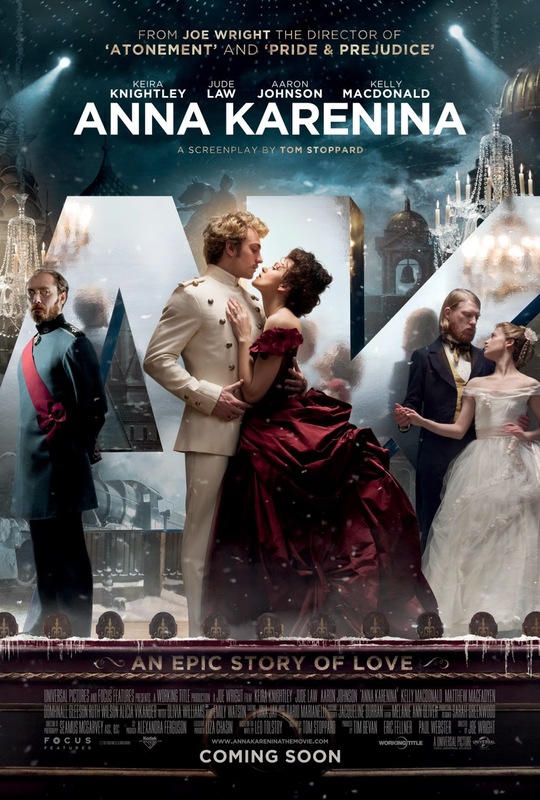 Film Review: "Anna Karenina" (2013). Fyodor Dostoevsky declared the novel to be "flawless as a work of art". Which is what this rendition of Anna Karenina attempts to bring to the big screen. This British drama film directed by Joe Wright and adapted by Tom Stoppard from Leo Tolstoy's 1877 novel of the same name. Set in late-19th-century Russia high-society, the film depicts the tragedy of married aristocrat and socialite Anna Karenina and her life-changing affair with the affluent Count Vronsky. Anna Karenina (Анна Каренина) is a novel by the Russian writer Leo Tolstoy, published in serial installments from 1873 to 1877 in the periodical The Russian Messenger. Tolstoy clashed with editor Mikhail Katkov over political issues that arose in the final installment (Tolstoy's unpopular views of volunteers going to Serbia); therefore, the novel's first complete appearance was in book form. Widely regarded as a pinnacle in realist fiction, Tolstoy considered Anna Karenina his first true novel, when he came to consider War and Peace to be more than a novel. Vladimir Nabokov, who especially admired "the flawless magic of Tolstoy's style", and by William Faulkner, who described the novel as "the best ever written". The novel is currently enjoying popularity, as demonstrated by a recent poll of 125 contemporary authors by J. Peder Zane, published in 2007 in "The Top Ten" in Time, which declared that Anna Karenina is the "greatest novel ever written." Joe Wright was hired to direct an adaptation of the Leo Tolstoy novel Anna Karenina, his fourth collaboration with Working Title Films. The cast include Keira Knightley as Anna, Jude Law as her husband, Aaron Taylor-Johnson as her young love, and Irish actor Domhnall Gleeson as Konstantin Levin, as well as Kelly Macdonald, Olivia Williams, Matthew Macfadyen, Michelle Dockery, and Tannishtha Chatterjee. Saoirse Ronan and Andrea Riseborough were initially cast in the film, but dropped out and were replaced by Alicia Vikander and Ruth Wilson. In July 2011, the cast began rehearsals, in preparation for principal filming which began on October 2011. Keira Knightley stars in the lead role as Karenina, marking her third collaboration with Wright, while Jude Law and Aaron Taylor-Johnson appear as Alexei Karenin and Vronsky, respectively. The performances were terrifically portrayed even though the film's script substance over style. Knightley was excellent and superb when I noticed how she continues to go with strength. But somehow I felt she was luminous in the role. Law was excellent. Johnson was also excellent. This also applies to the rest of the cast who gave excellent and terrific performances. A bold reimagining of the classic novel, Wright's vision for the film is very reminiscent to the films of Powell and Pressburger. Even though the film is going to divide people enormously. Anna Karenina features strong performances, brilliant cinematography and a unique set pieces. Featuring deft performances from Keira Knightley, Jude Law and Aaron Taylor Johnson, it's a successful adaptation of Leo Tolstoy's novel. 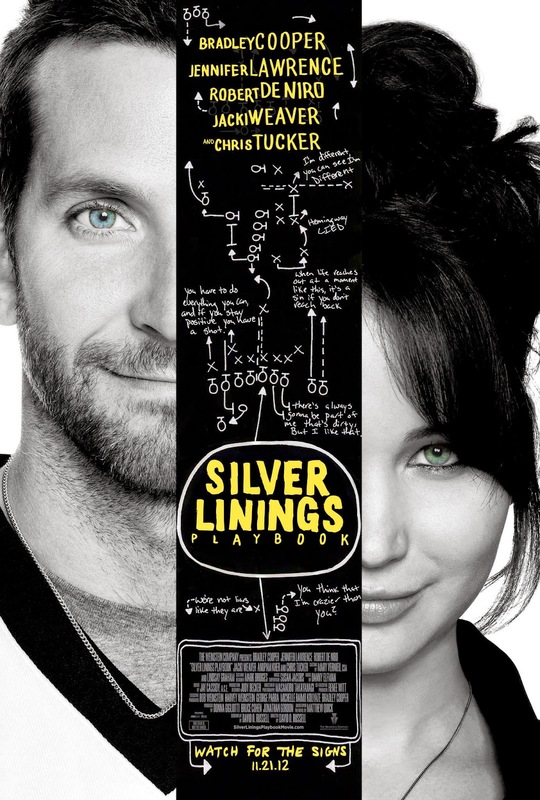 Film Review: "Silver Linings Playbook" (2013). "… When life reaches out at a moment like this it's a sin if you don't reach back, I'm telling you its a sin if you don't reach back! It'll haunt you the rest of your days like a curse. You're facing a big challenge in your life right now at this very moment, right here…" Which is the essence of Silver Linings Playbook. This romantic comedy-drama film written and directed by David O. Russell, adapted from the novel of the same name by Matthew Quick. After a stint in a mental institution, former teacher Pat Solitano moves back in with his parents and tries to reconcile with his ex-wife. Pat is determined to rebuild his life. All Pat's parents want is for him to get back on his feet and to share his family's obsession with the Philadelphia Eagles football team. Things get more challenging when Pat meets Tiffany, a mysterious girl with problems of her own. She offers to help Pat reconnect with his wife if he'll do something very important for her in return. As their deal plays out, an unexpected bond begins to form between them. The film stars Bradley Cooper and Jennifer Lawrence, with Robert De Niro, Jacki Weaver, Chris Tucker, Anupam Kher and Julia Stiles in supporting roles. The performances in this film were brilliant, exhilarating, humorous and surprising. But none of this works without some carefully developed, and perfectly pitched performances from the leads, and Bradley Cooper and Jennifer Lawrence, who both arguably give career best, awards-worthy performances. I never felt more interested in a couple in a romantic comedy before. The chemistry between Cooper and Lawrence makes them a delight to watch, their spiky rapport failing to conceal a mutual attraction. They drove the film forward and made it interesting and unpredictable. Plus they added very quirky, adult comedy which was needed and appreciated from the both of them. The performances of these actors are reason enough to go. The reason to stay is Lawrence. Just 21 when the movie was shot, Lawrence is that rare young actress who plays, who is, grown-up. Robert De Niro has given the finest dramatic role in his career in years! He was also interesting and surprising. This also applies to the rest of the cast including; Weaver, Kher and Stiles. Lastly, Chris Tucker gave his funniest and memorable performance since the Rush Hour films. It was nice to see him again. I enjoyed all the performances were incredible and amazing! Silver Linings Playbook is a whacked-out romantic comedy about a young man's journey to get his life back on track takes any number of unexpected turns, most of them bitingly funny. The neurotic frenzy threatens to annoy, but Russell's edgy, abbreviated style generates farcical comic friction without sacrificing character. Boasting a clever title, this is an inspired piece of lunacy about sociology versus psychology, with terrific performances from Bradley Cooper and Jennifer Lawrence. 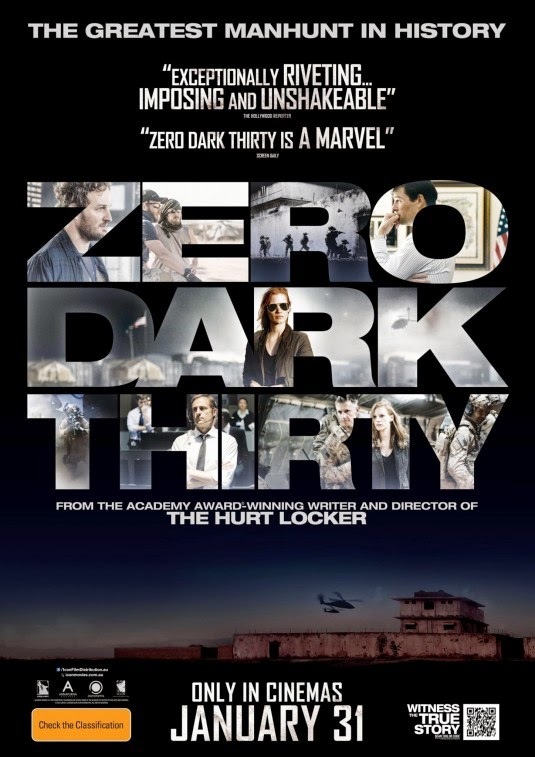 Film Review: "Zero Dark Thirty" (2012). The tagline of the film reads "The greatest manhunt in history", which is what you should brace yourselves for in Zero Dark Thirty. This historical drama film directed by Kathryn Bigelow. Billed as "the story of history's greatest manhunt for the world's most dangerous man", the film is a dramatization of the chronicle of the decade-long United States man-hunt for Osama bin Laden, leader of al-Qaeda terrorist group, after the September 2001 attacks. And how he was found and killed at the hands of the Navy S.E.A.L. Team 6 in May 2011. Osama bin Laden, the founder and head of the Islamist militant group al-Qaeda, was killed in Pakistan on May 2, 2011, shortly after 1 am local time by Navy S.E.A.L.s of the U.S. Naval Special Warfare Development Group (also known as 'DEVGRU' or 'S.E.A.L. Team Six'). The operation, code-named 'Operation Neptune Spear', was carried out in a Central Intelligence Agency-led operation. In addition to 'DEVGRU', participating units included the U.S. Army Special Operations Command's 160th Special Operations Aviation Regiment (Airborne) and C.I.A. operatives. The raid on bin Laden's compound in Abbottabad, Pakistan, was launched from Afghanistan. After the raid, U.S. forces took bin Laden's body to Afghanistan for identification, then buried it at sea within 24 hours of his death. Al-Qaeda confirmed the death on May 6 with posts made on militant websites, vowing to avenge the killing. Other Pakistani militant groups, including the Tehrik-i-Taliban Pakistan, also vowed retaliation against the U.S. and against Pakistan for not preventing the operation. Bin Laden's killing was generally favorably received by U.S. public opinion; was welcomed by the United Nations, N.A.T.O., the European Union, and a large number of governments; but was condemned by some, including Fidel Castro of Cuba and Ismail Haniyeh, the head of the Hamasadministration of the Gaza Strip. Legal and ethical aspects of the killing, such as his not being taken alive despite being unarmed, were questioned by others, including Amnesty International. Also controversial was the decision to not release any photographic or DNA evidence of bin Laden's death to the public. It stars Jessica Chastain, Jason Clarke, Joel Edgerton, Chris Pratt, Jennifer Ehle, Mark Strong, Kyle Chandler, and Édgar Ramírez. All the performance were all brilliantly portrayed by the cast. But the one actor - whose performance - stood out the most and drove the film entirely was Jessica Chastain. Her performance is not built on complex speeches but on a visceral projection of who this woman is and what she feels. She is not a hero in a conventional sense. Her single-minded ferocity and stubbornness not only prove essential in the hunt, but also make up the emotional through line that engages us in the story. A well-acted, intensely shot, action filled war epic, Kathryn Bigelow's Zero Dark Thirty is thus far the best of the recent dramatizations of modern battle of good and evil. It is a great film, an intelligent film, a film shot clearly so that we know exactly who everybody is and where they are and what they're doing and why.